Traditionalists: Traditionalism in the Trump-era mainstream? Bannon argued that many of Vladimir Putin's views were underpinned by Eurasianism, and noted "he’s got an adviser who harkens back to Julius Evola and different writers of the early 20th century who are really the supporters of what’s called the traditionalist movement." This adviser could hardly be anyone but Dugin. 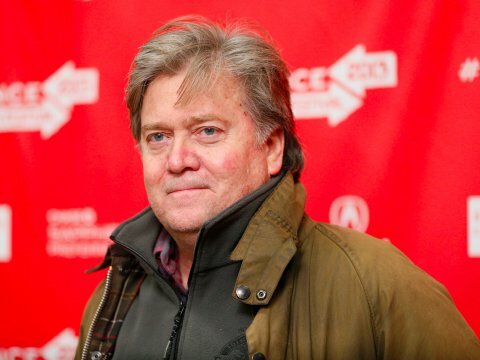 "We the Judeo-Christian West," continued Bannon, "really have to look at what he [Putin]’s talking about as far as traditionalism goes — particularly the sense of where it supports the underpinnings of nationalism." At first sight, this looks like an endorsement of Traditionalism, Evola, and Dugin. But it is not clear that Bannon really knows that much about Traditionalism, which he glosses as "standing up for traditional institutions," which is not quite the point. His source for Dugin may be an article published in Breitbart in 2014, "Putin's Rasputin: The Mad Mystic Who Inspired Russia's Leader," which mentions Evola but says almost nothng about his thought. Otherwise, Evola has only been mentioned occasionally on Breitbart, as in 2016 in "An Establishment Conservative’s Guide to The Alt-Right," where he was named in passing as one of the intellectual origins of the alternative right. My thanks to Rodrigo Adem for drawing my attention to this speech. Just this expression invalidates Bannon's arguments (if there were any). Of course, Eurasianism is not "European" Americanism. On Facebook (!) , Dugin apparently stated "We have Washington now" according to a translation I read.